"There's a link between biblical illiteracy and our habit of fracturing the Bible into pieces and parts. 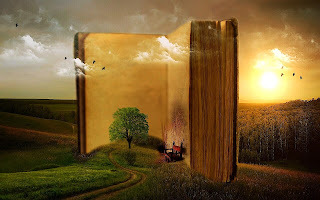 It's one story...[and] walking through the Bible, following Scripture's redemptive storyline, combat[s] biblical illiteracy." – Ed Stetzer, Christianity Today, Biblical Literacy by the Numbers. a story of redemption and love that flows from Genesis through Revelation. What's in the Bible? Your family will understand the entire Bible through these 13 DVD from VeggieTales creator Phil Vischer and a bunch of hilarious friends! In his first new project since VeggieTales®, Phil Vischer has set out to teach kids (and parents!) 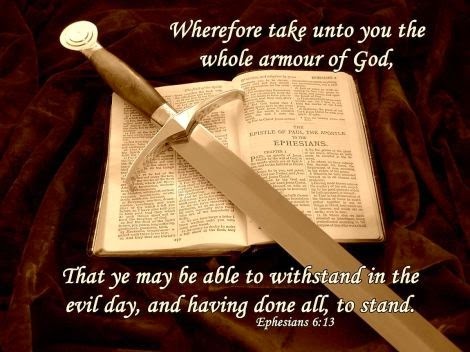 the story of the Bible – God’s great rescue plan! We know the stories of Moses, Noah, David, and Jesus, but in this groundbreaking new Christian kids’ series, we see how they all fit together to tell one big, redemptive story. Volumes 1-9 of the video series cover the Old Testament, and Volumes 10-13 cover the New Testament. 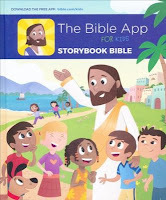 The Bible App For Kids Storybook Bible The Bible App for Kids Storybook Bible is an all–new, delight–filled Bible experience designed to help your children fall in love with God's Word. Based on the most downloaded Bible story app in the world, the Bible App for Kids Storybook Bible brings the Bible to life for your whole family, with colorful illustrations and engaging storytelling. You'll thrill to see God part the Red Sea for Moses and the Israelites as they flee their Egyptian pursuers. When the baby Jesus is born, you'll rejoice with the angels as they fill the sky to herald his birth. You'll marvel as Jesus feeds five thousand people, miraculously multiplying five loaves and two fishes offered by a little boy. The Bible App for Kids Storybook Bible features 28 quintessential Bible stories that are easily understood by children but enjoyed by entire families. 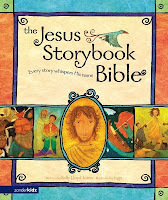 It's All About Jesus Bible Storybook. The Make the Bible come to life! 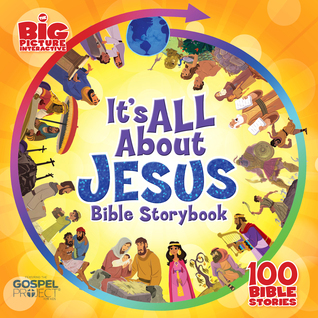 Give kids the big picture of God’s story with this innovative, interactive Bible storybook. One hundred stories take readers on a journey through the Bible, and the digital pop-ups (accessed with a free "augmented reality" app) bring the art and story remarkably to life with both sound and 3-D imagery. 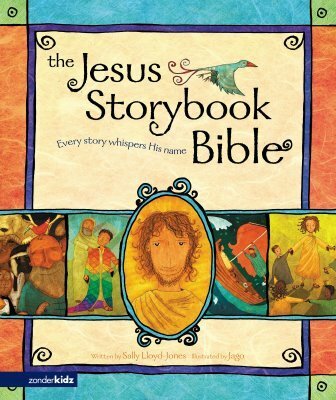 The Jesus Storybook Bible: Every Story Whispers His Name The Jesus Storybook Bible tells the Story beneath all the stories in the Bible. At the center of the Story is a baby, the child upon whom everything will depend. Every story whispers his name. From Noah to Moses to the great King David---every story points to him. He is like the missing piece in a puzzle---the piece that makes all the other pieces fit together. From the Old Testament through the New Testament, as the Story unfolds, children will pick up the clues and piece together the puzzle. A Bible like no other, The Jesus Storybook Bible invites children to join in the greatest of all adventures, to discover for themselves that Jesus is at the center of God's great story of salvation---and at the center of their Story too. Bible Fluency. A fun, creative way to learn the Scriptures. 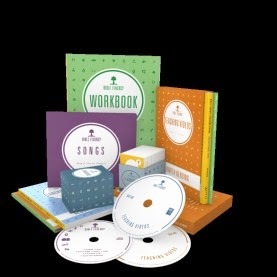 Intended for junior-high age through senior adults, Bible Fluency features 7 songs performed by semi-professional singers that cover 400 of the Bible’s main themes, events, and characters. Bible Fluency can be used either for individual study, group study as a Sunday school class or Bible study, or as homeschool curriculum. Lesson plans, handouts, and tests and quizzes can be downloaded for free at biblefluency.com. 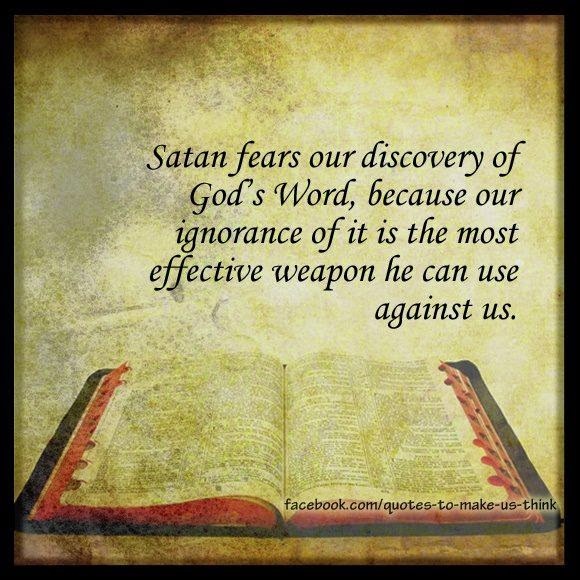 The Bible and Its Influence. A primary goal of the course is basic Biblical literacy--a grasp of the language, major narratives, and characters of the Bible. The course also explores the influence of the Bible in classic and contemporary poems, plays, and novels. Designed for high school students in grades 9-12, and enjoyed equally by college students and adult learners, The Bible and Its Influence can be taught as an English, social studies, or humanities elective. Student Edition. With the Bible as the primary text, the student edition guides the biblical reading and frames the classroom discussion in constitutionally acceptable ways. The textbook covers the entire Bible from Genesis to Revelation. 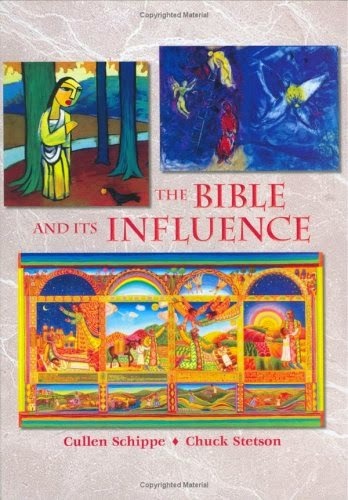 It is rich in illustration and filled with features that demonstrate the Bible's influence on culture, art, and academics. Teacher's Edition. The Teacher's Edition contains all the information, lesson plans, background, and classroom scripts needed to teach this course effectively and successfully. New to the second edition is the Teacher Resource CD, filled with blackline masters of student activities and projects to promote and extend student learning. 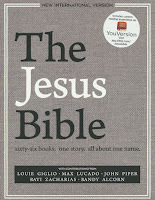 The Jesus Bible (NIV) Encounter the living Jesus in all of Scripture. 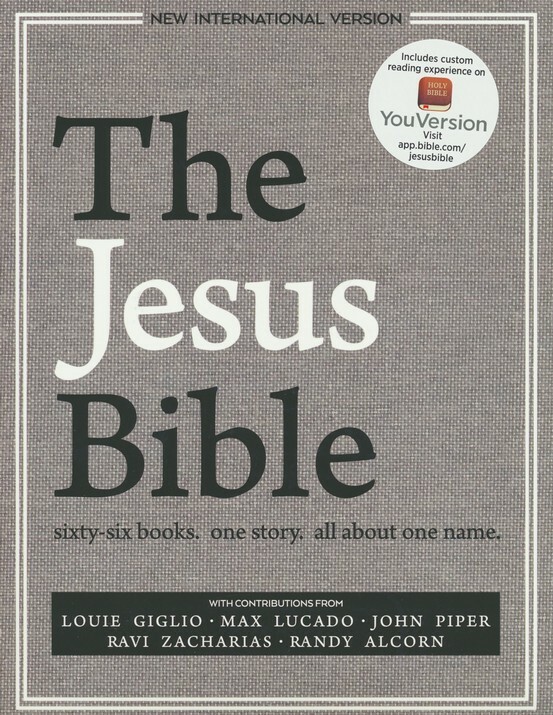 From the Passion Movement, The Jesus Bible, NIV Edition, with exclusive articles from Louie Giglio, Max Lucado, John Piper, Ravi Zacharias, and Randy Alcorn, lifts Jesus up as the lead story of the Bible. Profound yet accessible study features help you meet Jesus throughout Scripture. See him in every book so that you may know him more intimately, love him more passionately, and walk with him more faithfully. 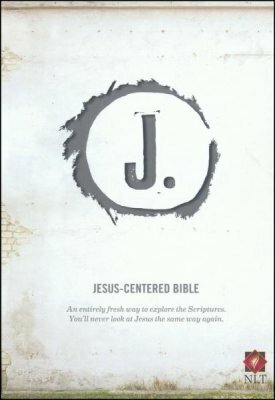 Jesus-Centered Bible (NLT) Encounter Jesus in a Fresh Way Throughout the Entire Bible. Blue lettering highlights more than 600 passages in the Old Testament pointing to Jesus—references and promises that show God’s love story for your life. You’ll see where Jesus appears, cover-to-cover, in every book of the Bible. Distinctive blue lettering helps you quickly and easily discover what’s most important in the Bible: Jesus.